Consider an automatic water-to-water heat exchanger to protect and enhance your ion laser investment. INNOVA ICE (Integrated Cooling Exchanger) is the optimal cooling option for any INNOVA small frame ion laser. 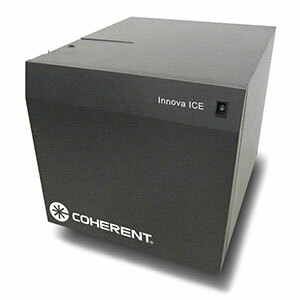 INNOVA ICE is compatible with any small frame Ion laser manufactured after January 1, 1997. 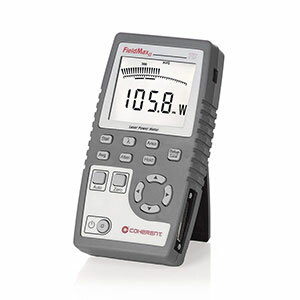 This includes the StarC, INNOVA 70C, 90C, 300C, 90C-FReD, and 300C-MotoFreD Ion laser systems. Ion lasers require water to cool the laser head and electrical components inside the power supply. The properties of the cooling water are important to the performance and lifetime of the laser. ICE makes it easy with a direct electrical connection to the power supply—it slaves directly from the laser, and operates automatically. 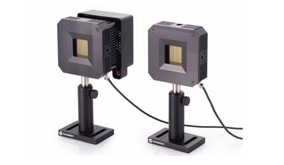 Water parameters to the laser system are carefully controlled—this translates to longer tube life and improved performance of laser system, especially for exacting single-frequency applications. ICE also eliminates condensation as a source of system failure and improves beam pointing and power stability as it regulates the cooling water temperature within ±1°C (±1.8°F).